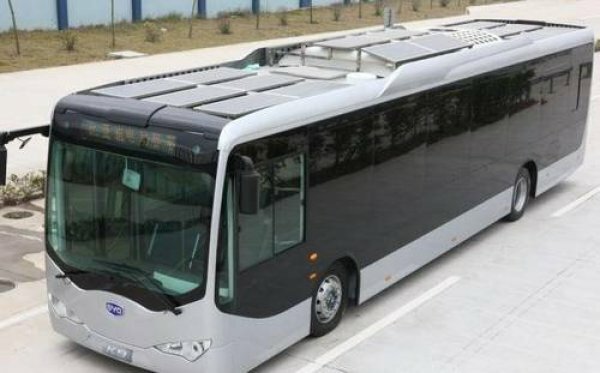 Chinese battery and car maker BYD Co. plans to start test-marketing an all-electric battery car in the U.S. next year, after almost a year's delay, and is in talks with officials in Los Angeles to supply e-buses that could eventually lead to a manufacturing plant in the city, a senior company executive said. Originally, the e6 vehicle was supposed to launch in the U.S. this year. The delay has been a setback for the global ambitions of China's auto sector, which wants to use electric-vehicle technology to close the distance with more-established global car makers. 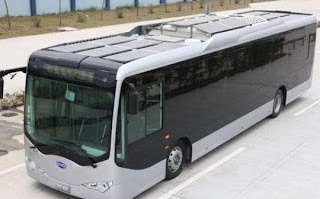 The first electric bus from BYD has been codenamed K9 and maybe the first mass produced Chinese electric vehicle to be widely sold on American roads. The K9 series of buses may be produced in LA due to their size and the expense of shipping something as heavy as a bus, which would make great PR for China PLC as an investor in the American job market. BYD already has plans to make LA its US headquarters and plans to initially hire around 50-150 workers for the project which is still on going. The K9 was officially unveiled at the recent EVS25 electric vehicle show in early November, according to BYD statistics the K9 will be able to travel for 300km on a single charge, which reduces to 250km should the air conditioner unit be activated. On the charging front the batteries can reach 50% charge within 30 minutes, which should make the K9 a great option for a green thinking State like California.